Crockett High School senior Jennifer Ayala cuts KUT reporter Kate McGee's hair. Jennifer is working to get her cosmetology certification so she can start working in a salon right after she graduates high school. I’m sitting in a black, leather salon chair talking to Jennifer, my hair stylist for the day. We’re discussing how I want to cut my hair. The beauty of radio journalism is that my hair can remain in a top bun every day--like it does--and I don't have to think about it. It also means I have few answers to Jennifer's questions. "So I kind of would like...I have some dead ends," I say, my voice trailing off. "It’s been a while since I got my hair cut. Maybe a couple inches?" "How many inches?" Jennifer asks. She's still working to get her cosmetology certification and doesn't want to cut more of my hair than she's supposed to. The salon sounds like a normal hair salon: buzzing razors and blow dryers. Across the room, someone is getting their hair washed. But this isn’t your normal hair salon. All of the employees are teenagers and the salon is inside a high school. Jennifer Ayala, my hairdresser and aspiring cosmetologist, is also a senior at Crockett High School where she spends three hours a day working toward earning her certificate in cosmetology at Salon Crockett. Destiny Vasquez gives her client a haircut at Salon Crockett at David Crockett High School in South Austin. Crockett High School is one of more than a hundred high schools across Texas that offers a cosmetology certification program. 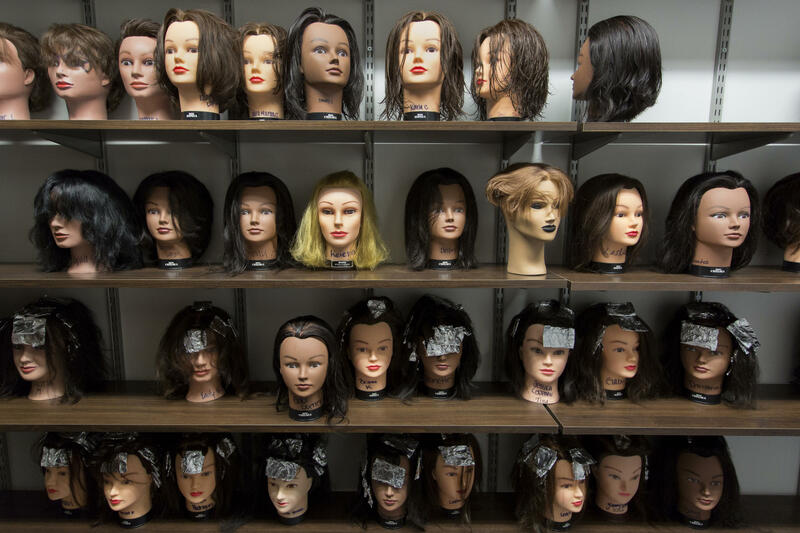 Starting their sophomore year, students like Jennifer learn how to cut and dye hair, give manicures and pedicures, waxing—and more. This year, the high school unveiled a brand new salon with new furniture and more space. The project cost $350,000 and was paid for with money from a 2012 bond. “Cosmetology is a career, it's not, like, just playing with hair," Jennifer says. She's constantly defending her choice to take cosmetology to people who she says misunderstand just how hard the class is. 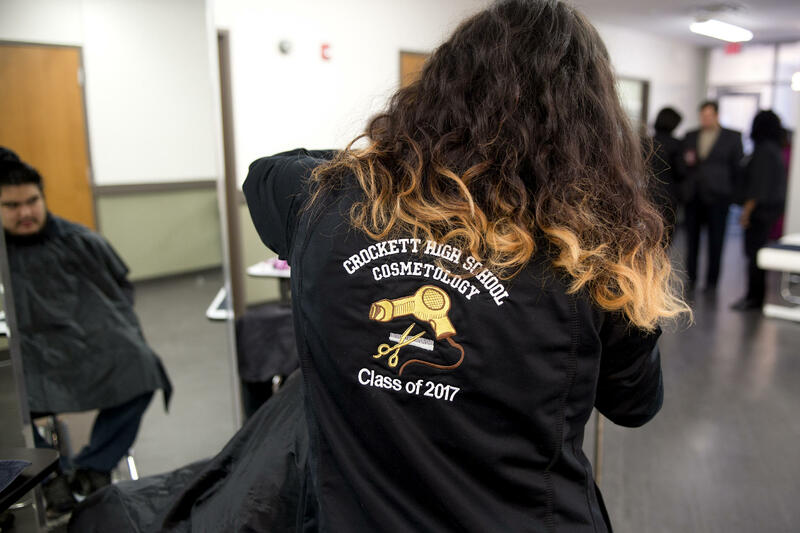 “People for some reason in our industry assume that the students are just applying make up on each other and cutting hair," says Ida Villareal, the cosmetology instructor at Crockett. "We hand out our textbooks to the science teachers. At first their jaws drop when they realize how academic and scientific our curriculum is." Ida Villareal runs the cosmetology program at Crockett High School. Students must complete 1,000 hours of beauty courses and 500 hours of related high school courses, like chemistry, biology, anatomy and physiology. Students learn how to identify and treat skin disorders and how to adjust a hair cut to look good on all different heads. As Jennifer cuts my hair, she describes these differences. To get a certificate through the Texas Department of Licensing and Regulation, students must also take a written exam. Jennifer takes the class Wednesday. If she passes, she moves on to the timed skills test. Once she passes both, Jennifer will receive a cosmetology certificate and can immediately start working in a salon. Since she got her certificate while she was in college, she won't have to pay for school unless she wants to get special certifications. Students must purchase their uniform and mannequin each year. Other than that, the cosmetology program is free. Many cosmetology schools can cost $24,000 per year, so Villareal says a free option is huge for students. Students have to pay for their uniform and mannequin head every year and that's it. Jennifer says the program has taught her more than how to cut hair. It’s also helped her open up. “I was very shy," Jennifer remembers. "I wouldn't really talk that much. I would, like, be the quiet one just in the class. But I feel like I have outgrown that. I got out of my shell, and I'm more social." Jennifer says that’s because her teacher, Villareal, expects a lot of her students. “She treats us like adults. That is something that other teachers won't do. They will baby you, they will do things for you. She doesn't. She goes, "You know what, you're going to do this because you're your own person." 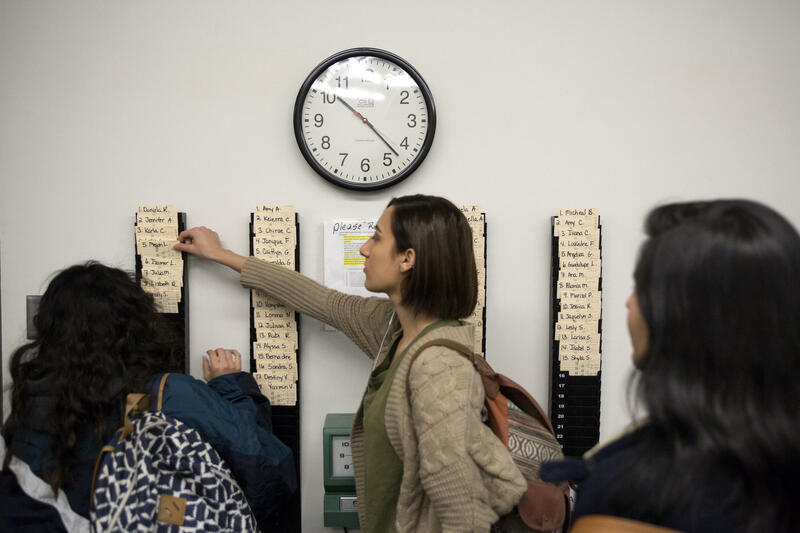 Students are required to clock in and out each day as if they are going to work. It's one of the ways Villareal treats her students like adults in the real world. Villareal says it’s great that her cosmetology students are learning a skill before they even graduate high school. But she says today’s employers want graduates who have soft skills, too. Next year, high school students across the Austin ISD can take cosmetology, too. It’s part of the district’s shared services model which lets students take classes at other high schools if their home high school doesn’t offer it. The class is quickly growing. Only nine seniors are graduating this spring, but 50 sophomores entered the program this school year. For those interested in getting a hair cut or other beauty service, check out the salon on Fridays between 7:30 and 10:30 a.m. If you’re a teacher in an Austin public school, it’s hard to get a pay raise. Teachers who start out in Austin make around $45,000 a year. If they stay in the district for 20 years, on average, their annual salary increases by just $5,000 in that time, but some in the Austin Independent School District are trying to change that. The Austin Independent School District is targeting a new ally in the battle to boost student enrollment at some South Austin schools: real estate agents. The district opened the doors of three neighborhood schools to give real estate agents a better look at what's going on in the classrooms. 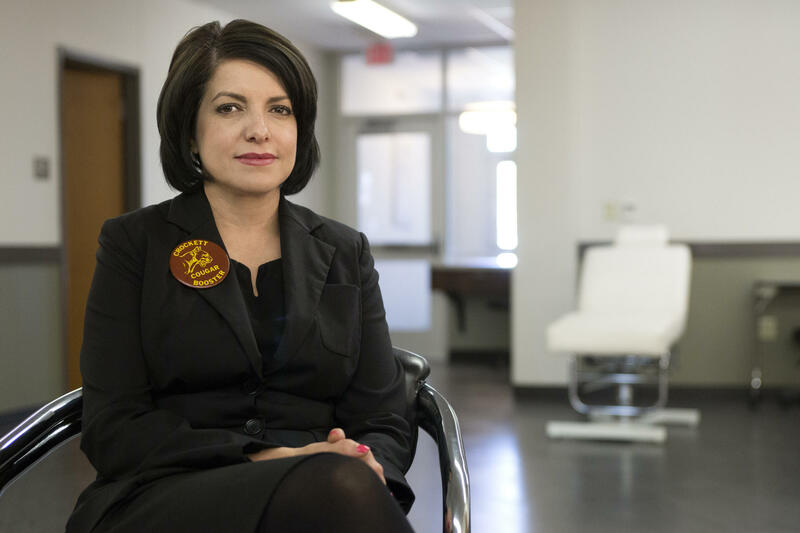 Since former Austin school board President Gina Hinojosa vacated her seat to run for the Texas House, the district has a new President and Vice President. And with that new leadership, there could be a renewed focus on the disparities between some AISD schools.